Big UK net firms have begun blocking access to two sites accused of flouting copyright laws. The blocks were imposed after the Motion Picture Association (MPA) won a court order compelling ISPs to cut off the Movie2K and Download4All websites. However, pro-piracy activists have set up a copy of the Movie2K website in a bid to get around the restrictions. The action comes as a music industry group publishes a list of 25 sites it wants blocked for pirating pop. The MPA, which is the international arm of the Motion Picture Association of America, went to court arguing that the two websites broke the UK’s Copyright, Designs and Patents Act. Both the websites let people download or stream copies of recently released movies that have been ripped from DVDs. The UK’s largest ISPs, BT, Virgin, Talk Talk, Sky and EE, are all believed to have complied with the order and stopped their customers reaching the sites. It is not clear how effective the blocks will be as TorrentFreak reports that the pro-piracy PirateReverse group has created a copy of Movie2K that people can access if they cannot get through to the main site. The latest action brings to six the number of sites that music and movie makers have successfully used court action to block. 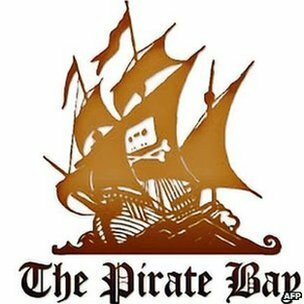 In February, UK ISPs were told to cut off access to three sites, Kickass Torrents, H33T and Fenopy, that the British Phonographic Industry (BPI) said were aiding piracy. In addition, prior to that ruling, UK ISPs were told to prevent customers getting at the notorious Pirate Bay website that shares links to copyrighted material. The BPI is believed to be seeking to block many more sites as it circulates a list of 25 domains it says are involved in pirating popular music. Included in the list are well-known sites such as Grooveshark, Isohunt, Filestube and Monova. The list is being shared among music labels and recording companies in a bid to find out if any of its members have licensed music to the sites. Not all the sites may end up being blocked as an earlier list circulated by the BPI that mentioned six sites only led to court action against three.